The village of Tythegston (pronounced Tith-eg-ston [ˈtɪθəɡstən]) lies about halfway between Bridgend and Porthcawl and half a mile from the South Wales coast. On a clear day Exmoor is visible on the other side of the Bristol Channel. The local area has been called South Wales's best kept secret by poet Dannie Abse. Nearby Merthyr Mawr Warren boasts one of Europe's most extensive inland sand dune systems and the coastline to the east is a fossil hunter's delight. I set up Tythegston Pottery in 2012 as a training opportunity for students and apprentices. 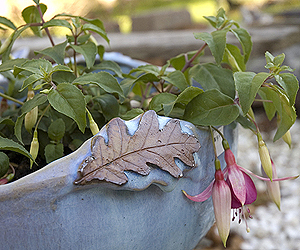 Working to my designs, the pottery produces a range of hand-thrown tableware and garden pots and sculpture. The emphasis is on providing students with time and scope to hone their production throwing skills. 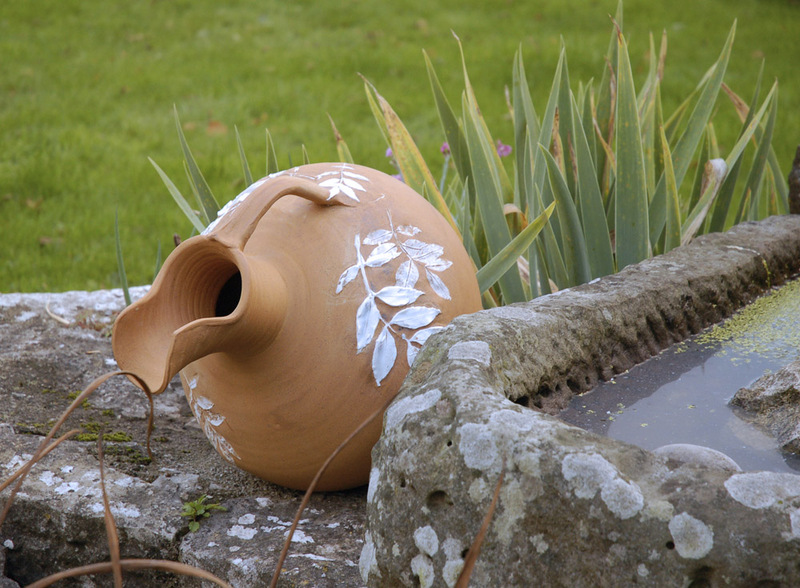 The garden at Tythegston provides a setting to test the aesthetic and practical qualities of our stoneware garden pots. We open once a year as part of the National Garden Scheme so that gardeners can pass judgement on our new designs. 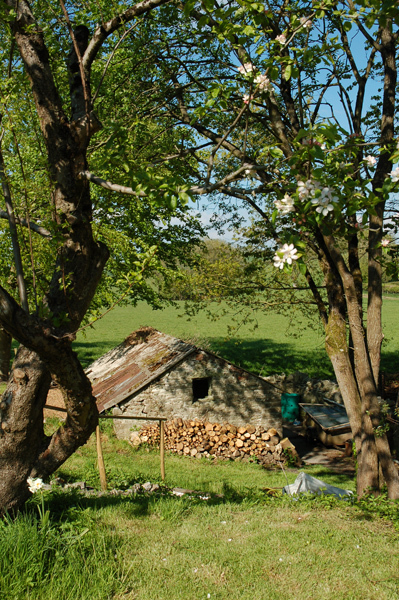 The garden borders a field on a farm that has done a lot of work to preserve areas for wild flowers and local fauna. 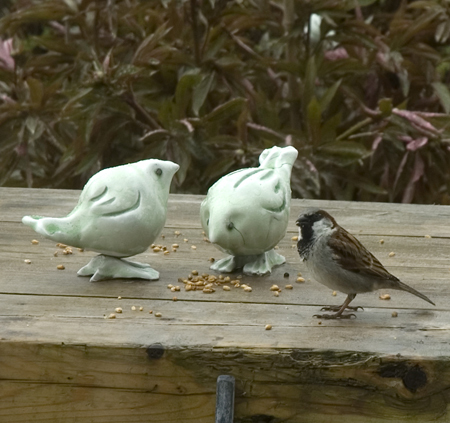 Our contribution is to make some pots, such as bird feeders and bird baths, that encourage wildlife to flourish. 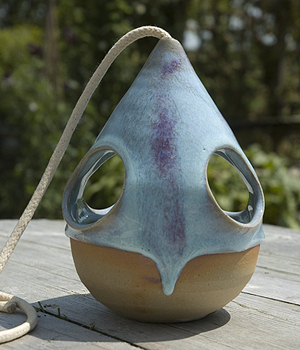 Simona Stollo is the apprentice currently in residence at the pottery. She is sponsored by the 'Adopt a Potter' apprenticeship scheme. Upcoming Events at the pottery.